The weather in Portland has a been a bit hotter than normal. We've already had a few days near 90 and this week we're even crossing over into the triple digits. 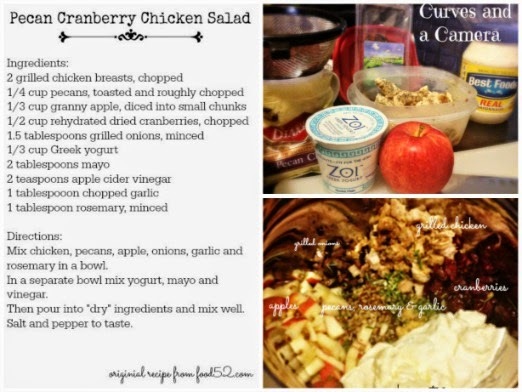 So dinner ideas have ended up being sandwiches and salads; like this Pecan Cranberry Chicken Salad. I changed some of the ingredients slightly, and I do recommend adding the vinegar in lightly it can become overwhelming. But I put it on a croissant with some lettuce and it was perfect for a hot gross day.